Have I shown you my new finger tattoo? It didn’t hurt as bad as i expected, and it only took a little while. 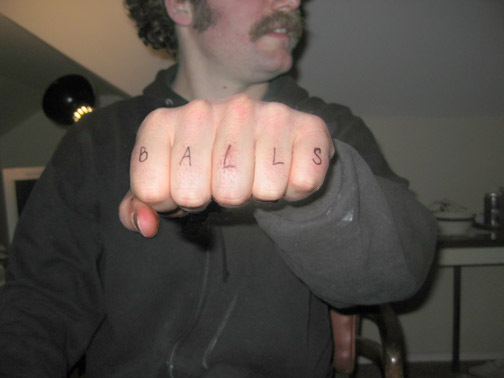 I got the idea for my finger tattoo after seeing the finger tattoo on this guy. Check out his site and see that he is a genius.